Admit it: the happiest place in the world is somewhere between a six pack of beer and a large cheese pizza. But when it comes to the happiest country in the world, a new report from the United Nations has again named the nations with the happiest people on the planet, and just like last year, the United States didn't even crack the ranking's top 10. While Switzerland took the title in 2015, the Scandinavian nation of Denmark has been named this year's happiest country in the world, according to the intergovernmental agency's study of 156 countries. The new ranking marks the third time the small nation of about 5.6 million people has topped the list, which is based on several factors like healthcare, life expectancy, freedom, and other social and economic factors. This year, Denmark was followed by Switzerland, Iceland, Norway, and Finland. The US came in at No. 13. The Danish people's access to free healthcare, college tuition, and other social services funded by high taxes has repeatedly been praised by Democratic presidential hopeful Bernie Sanders as a model for the US. 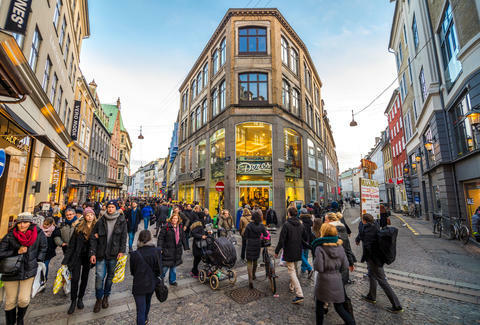 Some Danes say they "have no worries" due to their country's lack of drastic events like natural disasters and issues like government corruption, according to a report by the Associated Press. As for the most unhappy countries in the world, Burundi ranked worst, followed by Syria, Togo, Afghanistan, and Benin. Tony Merevick is Cities News Editor at Thrillist and wouldn't mind visiting some of these places. Send news tips to news@thrillist.com and follow him on Twitter @tonymerevick.